Good news: Slightly belated but earlier than expected, the 360p version of the episode is in. Find it after the break. But now back to “The Ball.” Here the synopsis again, as it appeared in a Disney Channel press release. When a giant cosmic dog mistakes a planet and its inhabitants for a ball, Wander tries to help the planet’s people take on the playful pooch. I hear there’s a lot of snow going on out there. I don’t have any here. Instead I have a new Ja-NEW-ary promo for you that aired on Disney Channel. There are also a bunch of other shows in the mix, but also many Wander bits and a lot of them seem new to me. Thanks to Sunny for messaging me about it. Disney Channel has uploaded a series of images from “The Ball” and “The Bounty,” but the full-sized versions are only available to select media outlets, and Derpy News is not among them. We’ve already seen some of the scenes from “The Ball” in the preview, but others are new. The accompanying descriptions are already known, but here they are again. Wander Over Yonder – “The Ball” – When a giant cosmic dog mistakes a planet and its inhabitants for a ball, Wander tries to help the planet’s people take on the playful pooch. This episode of Wander Over Yonder will air Friday, January 10 (9:00 PM – 9:15 PM ET/PT), on Disney Channel. Wander Over Yonder – “The Bounty” – When Hater hires a crew of bounty hunters to capture Wander and Sylvia, Commander Peepers tries to thwart their efforts so he can have all the glory to himself. 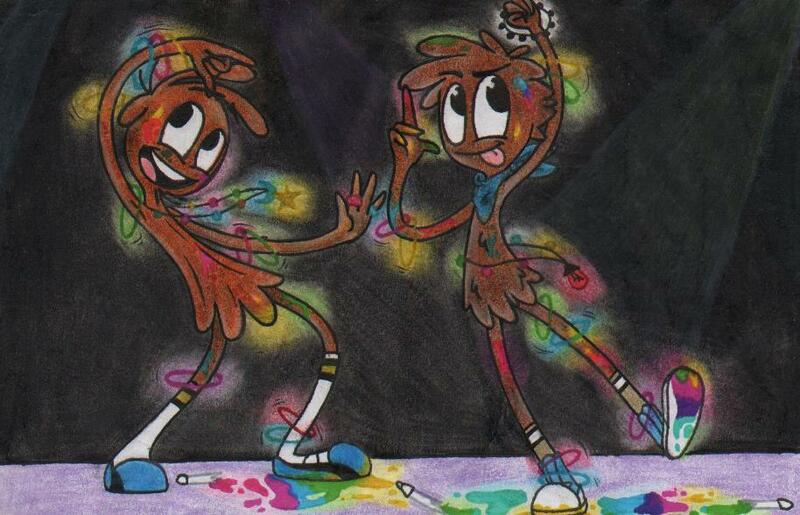 This episode of Wander Over Yonder will air Friday, January 24 (9:00 PM – 9:15 PM ET/PT), on Disney Channel. Update: I found some bigger versions on Getty Images. We enjoy bubbles here at Derpy News. The recording had been interrupted when Sunny gave me the heads-up, but I caught a repeat of the trailer later. Sydney also messaged me about it. Thankies! Watch it, including all the bubbles, after the break. Many thankies to heyytalia for the heads-up about Disney Channel’s January 2014 Premiere Highlights on Nick and More. The press release features two new synopses! When Hater hires a crew of bounty hunters to capture Wander and Sylvia, Commanders Peepers tries to thwart their efforts so he can have all the glory to himself. AC44 pointed out in the comments that both these premieres are two days earlier (and thus on a Friday) than the dates originally reported by Zap2it. We mentioned in one of our posts about the announcements that these dates on Zap2it have been wrong in the past, though only very rarely. It seems that these are such rare cases. Zap2it has published the title of a new Wander Over Yonder episode: “The Ball” on January 12, 2014. There is no synopsis yet, and there are of course two homonyms that “The Ball” may be referring to. I tried to find an image of Wander or Sylvia in formal evening wardrobe or a ball gown but had to settle for any dancing. It may, however, also refer to the mostly spherical type of ball you use for playing such games as Ulama or Lacrosse.